To download and print a copy of Automotive News Europe's A-Z Guide to the 2011 Geneva auto show, click on the PDF above right. The Geneva auto show is filled with signs that automakers are bouncing back from the downturn of the past two years with a number of production vehicles and concepts. Volkswagen AG, helped by its new subsidiary Italdesign Giugiaro, will unveil an array of concept cars to show the industry it has the design depth, as well as the production capability and the financial strength, to topple Toyota Motor Corp. as the world's No. 1 automaker. BMW AG will debut the Vision ConnectedDrive, a futuristic roadster concept that shows how driver-assistance systems and infotainment features can be networked via the Internet in ways unimaginable a few years ago. And Toyota and Honda Motor Co. will bring hybrid technology to the subcompact segment. Here's a sampling of some of the production and concept vehicles making world debuts during the Geneva press days March 1 and 2. Alfa plans to unveil a rear-engine, rear-wheel-drive coupe. The lightweight two-seat model is to go on sale as the 4C GTA in Europe in late 2012, delighting Alfa enthusiasts who have dreamed of an affordable rwd Alfa since the Duetto Spider was discontinued in 1994. Alfa sources said the 4C GTA could be sold in the United States, but no decision has been made. Audi will debut a concept (pictured above) that previews a sporty notchback version of its A3. The concept is set to go on sale as a new addition to the A3 family, which currently consists of a three-door hatchback, five-door Sportback and a convertible. The A3 notchback will be built in Audi's factory in Gyor, Hungary, likely starting in 2014. Audi will also premier the five-door RS3 Sportback, which will compete against the BMW 1-series M coupe, will top the A3 range. It offers a five-cylinder, 340-hp, 2.5-liter gasoline direct-injection engine linked to a seven-speed S-tronic transmission and is equipped with Quattro all-wheel drive. 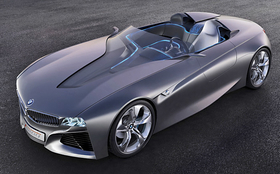 BMW's Vision ConnectedDrive roadster concept combines a futuristic design with technological innovations. The concept highlights how cars can be part of a networked world. Among the innovations are antennas that replace side-view mirrors. The antennas transmit information to the outside world, capture navigation data and assist in monitoring traffic and the environment around the car. The concept also has a 3-D head-up display that fuses the view of the road ahead with virtual content. BMW also will debut the ActiveE, a prototype electric car based on the 1-series coupe. The four-seat EV is powered by a 125 kilowatt/170-hp electric motor and has a range of about 100 miles. The Cruze hatchback, which will go on sale mid-year in Europe, makes its world premiere. Chevrolet hopes the hatchback will help it better compete in the European compact segment, where 65 percent of sales are hatchbacks. The five-door model takes its styling from a concept unveiled in October at the Paris auto show. Citroen's DS4 will be unveiled in Geneva in its production form, along with the Metropolis concept. The DS4 will go on sale in May and is the second model in the French brand's upscale DS line after the DS3. The DS4 is based on the C4 compact hatchback but is taller than the C4 as well as slightly shorter and marginally wider. The Metropolis concept will be a further development of a hybrid large sedan concept shown at the 2010 Shanghai World Expo. The concept previewed a flagship car that Citroen may build to compete in China with German luxury brands, possibly called the DS9. Former Fiat marketing executive Gian Mario Rossignolo will use the Geneva show to relaunch De Tomaso, seven years after the Italian sports car brand collapsed financially. Rossignolo's new De Tomaso company will unveil a Pininfarina-designed concept for a premium large crossover, dubbed SLC (sport luxury car). The four-wheel-drive SLC is set to go into production next year. Ferrari's new FF (Ferrari Four) is the brand's first four-wheel-drive model and its first model with a station wagon-shaped tailgate that gives access to a roomy cargo area. The four-seater will replace Ferrari's 612 Scaglietti flagship, but is longer, lighter, taller and more fuel efficient than the Scaglietti. The FF is powered by a new 660-hp, 6.3-liter V-12 direct-injection engine, making it the most powerful regular production Ferrari. Its 4wd will help improve the car's safety and road holding when needed on low-traction surfaces. Although it's more powerful than the 540-hp 5.75-liter Scaglietti, the FF will be greener, using 15.4l/100km of fuel with CO2 emissions of 360g/km. 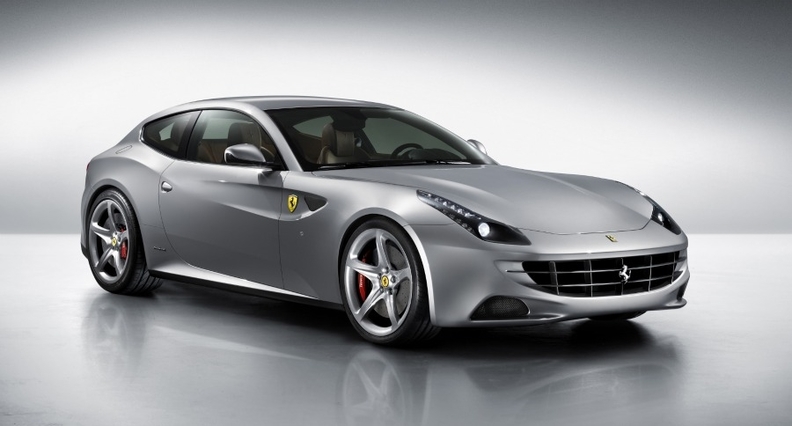 The FF will go on sale in Europe in May, priced about 250,000 euros. Fiat is rebadging the Dodge Journey to create a seven-seat minivan that will replace the brand's slow-selling Ulysse model. Fiat has given the Journey some minor exterior design tweaks, a revised interior and a stiffer and more responsive suspension and steering to cater for European driving tastes. With the B-Max, which debuts as a concept, Ford will have a stronger challenger in Europe's small minivan segment, which is led by the Opel/Vauxhall Meriva. The five-seat B-Max will have rear sliding doors. A production version of the concept will be the smallest offering in Ford's European range of minivans that includes the C-Max, Grand C-Max, S-Max and Galaxy. Honda will debut the EV Concept, which the company says hints strongly at the styling direction for Honda's upcoming production battery electric vehicle, the Fit EV. The Fit EV will be introduced in 2012 in the United States and Japan. The automaker also will show a new plug-in hybrid platform integrated into a mid-sized sedan platform that showcases Honda's next-generation, two-motor hybrid technology set to debut in 2012. Hyundai says its new i40 mid-sized car will offer high-end features at accessible prices, helping to move the company toward what it calls a 'modern premium' positioning. The i40 will be launched first as a station wagon in June with brand's latest environmental technologies. The i40 will be joined in Geneva by the Veloster three-door coupe and the Curb compact crossover concept. Both were first unveiled at the Detroit auto show in January. Infiniti's Etherea concept will preview a potential entry-level car aimed at young buyers. Infiniti says the concept has a profile different from anything in the premium compact class, so it is not just a smaller version of a typically conservative luxury car. Jaguar will mark the 50th anniversary of its iconic E-Type that caused a sensation when it was unveiled at the 1961 Geneva show. And Jaguar will look to the future with the B 99 concept, a mid-sized sporty sedan. The B 99 was created for Jaguar by Italian design house Bertone. Kia will unveil the Rio and Picanto. To attract a broader customer base, Kia added a three-door version to both model lines, but will continue to offer five-door versions, too. Kia says the Rio's sporty and elegant new look is designed to stand out in the highly competitive subcompact segment. The Picanto gets a bolder, more sculpted styling and more passenger room and cargo space. It has CO2 emissions as low as 90g/km. Lamborghini will unveil a Murcielago replacement, which press reports have said will be called the Aventador. The new model is lighter and more fuel efficient than the car it replaces, thanks to an improved powertrain and a new carbon fiber body and chassis. Fiat's plan to integrate Lancia with Chrysler will be highlighted in Geneva with the debuts of Chrysler-based models that will be sold in Europe as Lancias. These will be the Thema, which is a rebadged version of the new Chrysler 300C large sedan; a Lancia version of the Chrysler Grand Voyager large minivan, also called the Grand Voyager, and the mid-sized Flavia concept, which is a rebadged Chrysler 200. Lamborghini will unveil a Murcielago replacement, which press reports have said will be called the Aventador. The new model is lighter and more fuel efficient than the car it replaces thanks to an improved powertrain and a new carbon fiber body and chassis. Land Rover will debut a diesel hybrid plug-in prototype called the Range_e. The concept is based on the Range Rover Sport. Mazda's Minagi compact crossover concept previews the automaker's new design theme, which it calls Kodo, meaning soul of motion. The four-door Minagi is expected to reach production as the CX-5, giving Mazda a rival to models such as the VW Tiguan. Mercedes-Benz aims to win younger customers with two sporty cars: the new C-class coupe and the SLK roadster. The C-class coupe will be offered with an array of active safety and fuel-saving features to help it better compete with the BMW 3-series coupe and Audi A5. The third-generation SLK gets a sportier design with styling cues from the SLS AMG supercar and the new CLS, as well as a new engine range up to 25 percent more economical than current SLK engines. 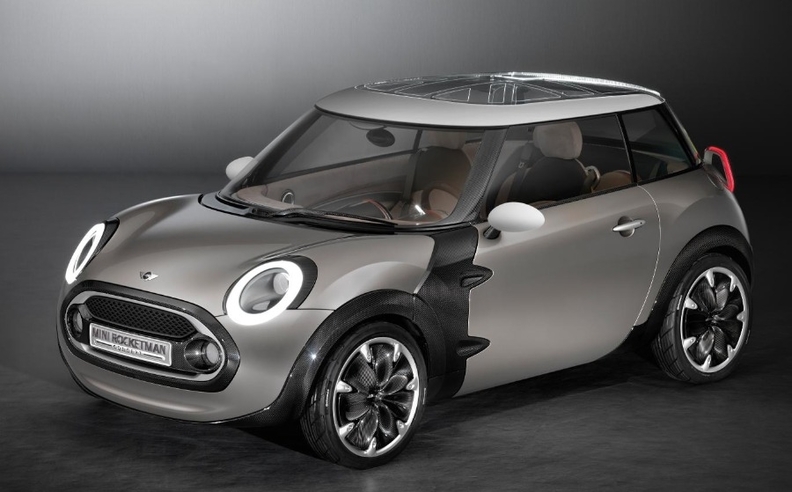 Mini returns to its roots with an ultra-compact concept called the Rocketman. The car is a modern interpretation of the original Alec Issigonis-inspired model that revolutionized small car design when it was introduced in 1959. Smaller than today's regular Mini, the concept is clear recognition that Mini is considering a cheaper, urban-based model to compete with the Smart ForTwo. 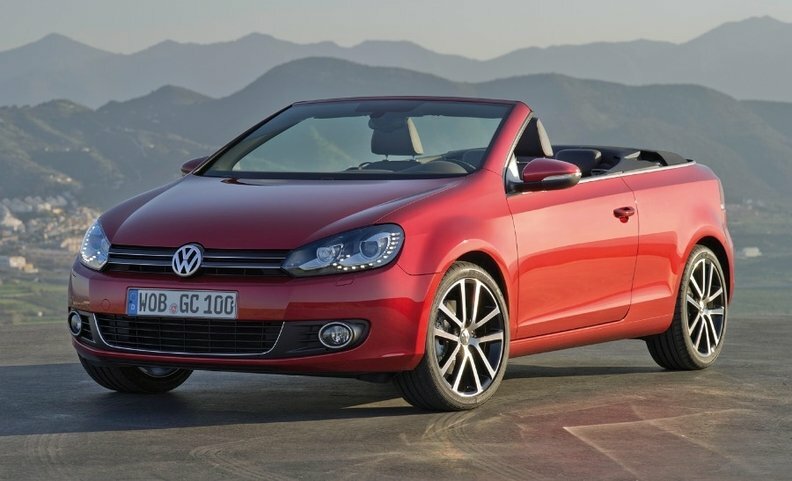 A front-engine, front-wheel-drive production model could go on sale in 2013. Mitsubishi will show a concept for a new small car that will be built in Thailand starting in March 2012 for export to global markets. High fuel efficiency and affordability are key features of the four-door. 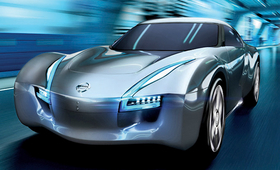 Nissan's Esflow concept hints at a potential rwd electric sports car. The concept has the same lithium ion battery packs that are used in the Leaf. The Esflow's aluminum chassis has been built around the drivetrain and lightweight seats sculpted into the car's rear bulkhead so they don't need a heavy frame. Opel's Zafira Tourer Concept shows how the brand's next medium minivan could look. It has a dynamic exterior look and the interior is airy and bright to resemble what Opel calls a "lounge on wheels." Opel will also show the production Ampera plug-in hybrid, a sister model to the Chevrolet Volt. Another concept will be an "urban mobility mover" smaller than a Smart ForTwo and similar to the EN-V (Electric Networked Vehicle) unveiled by parent General Motors at the 2010 World Expo in Shanghai. The 308 compact range gets a face-lift that incldues a restyled front end and a micro-hybrid powertrain that Peugeot says has the lowest emissions in its segment. The changes reduce the size of the car's front grille in line with the company's new design philosophy already seen on the upcoming Peugeot 508 and the SR1 concept. The car is also lighter than the outgoing model and will be offered with 1.6-liter diesel engine with stop-start and battery regeneration that reduce CO2 emissions to 98g/km. The company wil also display its 3008 diesel-hybrid passenger car, which goes on sale shortly after the Geneva show. Bowing to the trend for greener cars, Porsche will unveil a hybrid version of its Panamera four-door sedan. The car uses hybrid technology already fitted in the Cayenne SUV. Rolls-Royce said it has engineered the world's first battery electric vehicle for the ultra-luxury segment with the Phantom EV concept that will debut in Geneva. Renault will unveil two concepts. Both will show the latest development of the company's new design strategy. One is called the Captur, a muscular-looking crossover that has the brand's new frontal identity. 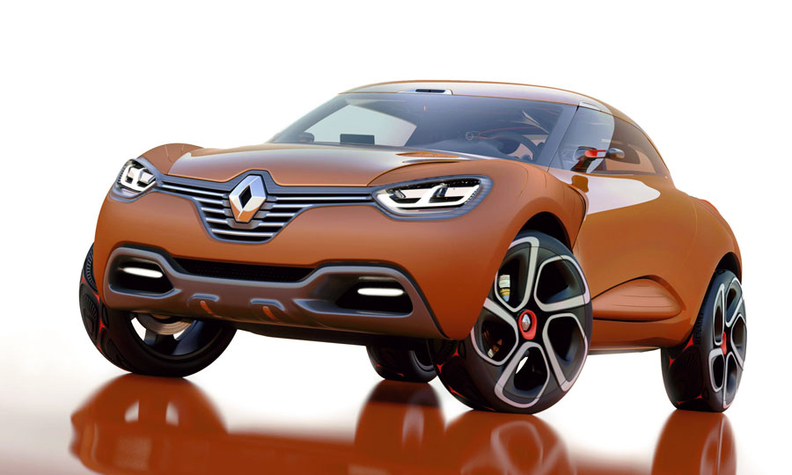 The concept features a large Renault logo as its centerpiece. The concept is powered by a 160-hp 1.6- liter twin-turbo diesel with CO2 emissions of 99g/km. The other concept will be unveiled on the show's first press day. It will hint at a potential Scenic-sized crossover. Saab's new chief designer, Jason Castriota, will unveil what the company calls "a visionary concept" for its future products. The new 9-5 SportCombi wagon also will make its world debut. Skoda will present its new corporate design in the form of a concept car at the show. The car will feature the brand's new logo which will appear on new Skoda models from 2012. Smart will show the Forspeed study for an electric roadster. The concept has a range of 135km and is powered by a 30 kW electric motor installed at the rear of the car. SsangYong will debut a pickup concept called the SUT 1 (Sport Utility Truck 1) based on its Actyon Sports model. A production version will be launched with two- and four-wheel drive and a Euro 5-compliant, 155-hp 2.0-liter turbodiesel engine. The company will also show a new Giugiaro-designed Korando medium SUV. SsangYong is being taken over by India's Mahindra & Mahindra and is relaunching sales in some of the European markets it pulled out of two years ago, including Germany where it aims to have 150 dealers by 2012. Toyota will show a Yaris gasoline-electric hybrid concept that will become a production model in 2012. The Yaris variant will join the Auris and Prius hybrids in Europe. Toyota also will give a prototype electric version of its iQ microcar a European debut. The automaker plans to launch the car in Europe and the United States. It has a 62-mile range on a full charge. Italdesign Giugiaro will unveil two concepts for the Volkswagen brand at the show, making Geneva a showcase for design legend Giorgetto Giugiaro's new influence on the styling of VW's future products. Last spring, VW Group bought a 90 percent stake in Italdesign to boost its design and engineering capacity. The two concepts will be displayed on Italdesign's stand. On VW's stand, the automaker will show a concept for a minivan with styling similar to the retro Microbus concept created in 2001 but never built, and the new Golf convertible, which will have a folding soft-top roof and will go on sale in June. Also debuting is a face-lifted Tiguan SUV. Volvo's V60 station wagon will be displayed with a plug-in diesel-electric hybrid powertrain. The near-production car will go on sale next year. The hybrid's front wheels are driven by a 215-hp, 2.4-liter five-cylinder turbodiesel engine. Mounted on the rear axle is a 70-hp electric motor.